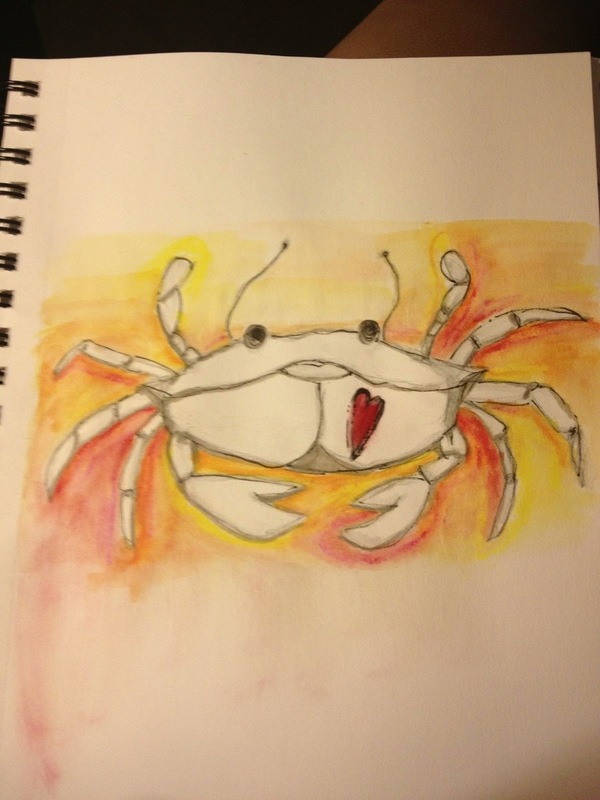 This little crabby was created with the amazing Derwent light wash water solvable graphite pencil – and the sunset is Caran d arche crayon. I love art supplies and I love the ocean- they mix pretty well don’t you think? Have a very artful day . I love to play with the crabs now – especially the fiddlers at the beach here in NC . wonderful illustration-so darned cute! Happy PPF!